Here at CWM HQ we were excited Marc Ahmed wanted to chat to us. 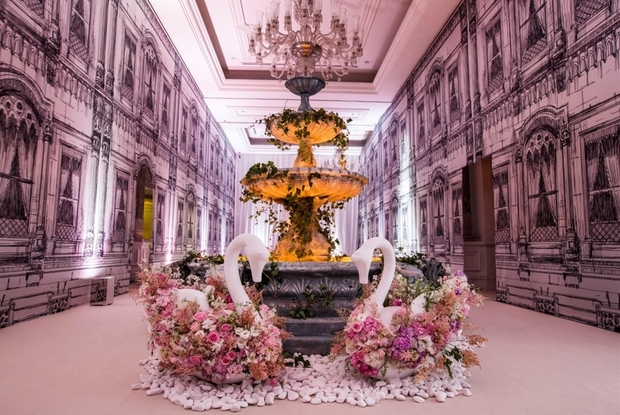 A luxury wedding planner, who specialises in planning high-end, million pound, unique weddings for some of the world's most illustrious clientele we were delighted to get a sneak peak inside some of the world's most outrageous weddings. Why and when did you decide to start Scarlet Events? Did you always know it was a field you wanted to go into? I started in events as a photographer but always found myself having to solve some kind of problem at every event. Coordination just came naturally to me and I was always creative and a perfectionist so I thought why not do something with my ideas. What makes Scarlet Events different from other wedding planning businesses? The very fine detail that goes into organising all of our events including managing all of the guest hospitality from the moment they arrive at the airport. We are available on call to our clients 24/7 and when they're paying that much money they should expect the very best customer service. We design all of our events in-house and don't subcontract to other companies, so everything you see was designed and conceptualised by us. We also never say no to our clients, no matter what the request, we will see it done. What's your favourite part of wedding planning? It may sound cliché but it's sheerly the joy that we get knowing that the client was incredibly happy and we were a part of making that day so special for them. What's the most challenging part of planning a wedding? Emotions run very high at weddings, especially when too many family members get involved. The wedding should be a very straightforward process and the couple should always have the final say. Tell us about the types of clients you get? We have a worldwide client base that includes British, European, Russian, Arabic and many other nationalities. The majority of our clients are UHNW and people of significant importance in the world of business and royalty. What's the craziest event you've had to organise? A dark circus birthday party where the client's wife wanted a crazy and surreal environment so we threw in Ringmasters, Evil clowns, and quite a lot of surreal entertainment set amongst a very weird and wonderful environment. Tell us about the biggest celebrities you've worked with and what they did for the event? We've worked with many international superstars who have performed at our events including Lionel Richie, Jennifer Lopez, Bryan Adams and many more. Nearly all of our events will have some kind of superstar artist perform live. What's the most popular wedding theme/style people go for? Nowadays its all about neutral tones, lots of flowers and candles but styles change each year. Just a couple of years ago Gatsby was the big thing going. What's the largest budget a couple have spent on their wedding? Most of our clients want something unique and different. Clients of this calibre are at events weekly and are used to seeing the same old. So they come to us with crazy ideas and ask us to make it happen. Have you ever had any near wedding mishaps? There are always mishaps at each wedding, luckily most of the time they're very small that it goes unnoticed. That is the benefit of planning to the very last detail with your team, to ensure everyone knows exactly what they are doing so nothing can go wrong. Usually when something does go wrong its because the client has told us something which turns out to be different on the day. 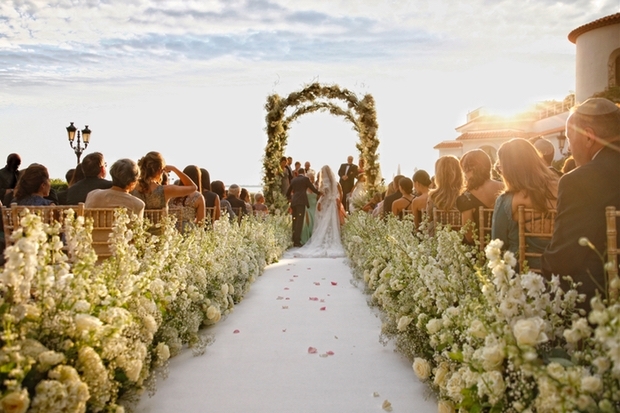 Which have been the most magical locations/ venues you've planned weddings in? We have been lucky enough to work all over the world but in terms of sheer beauty, the Amalfi coast wins it hands down. What's been the whackiest thing someone has requested for a wedding? We were adding large replica paintings from Buckingham Palace inside the ballroom of the venue and the client asked to have their faces and their dog on the paintings. Have you ever had a tearjerker moment at one of the weddings? It's always sad when a loved one dear to the couple has passed away before the wedding. There is always a heartbreaking tribute made at the wedding which brings a tear to everyone's eye. Which part of the wedding takes the most planning? The RSVP and guest management drags on forever. Guests never reply by the deadline and it takes a massive amount of time to follow up with every single one. Especially when 800 have been invited! I could write a book, but if I had to choose: A client wanted two super large prints of a him and his wife from their wedding 10 years earlier each side of the stage. Easier said than done, he didn't have digital files and only had a printed album with terrible quality images and it was in Dubai of all places. We had to send a photographer to Dubai to collect it from the client's house, take it to his studio and take super high resolution images of the images, then colour correct and upscale them. Only to find out that it looked even worse when enlarged so we had no choice but to turn it into an illustration. We then sent the new digital files to an artist be turned into a 'sketch' and then sent it to the production designers who had to size it accordingly and send it to be printed on special material. It then had to be sent to someone else to be turned into a 3m high canvas. Of course it doesn't end there as it turned out to be the wrong size so had to be trimmed down at the event itself prior to guests coming in. I wouldn't say it was a favourite memory as something that should have taken five minutes took five weeks but I'll never forget it and guests were none the wiser. 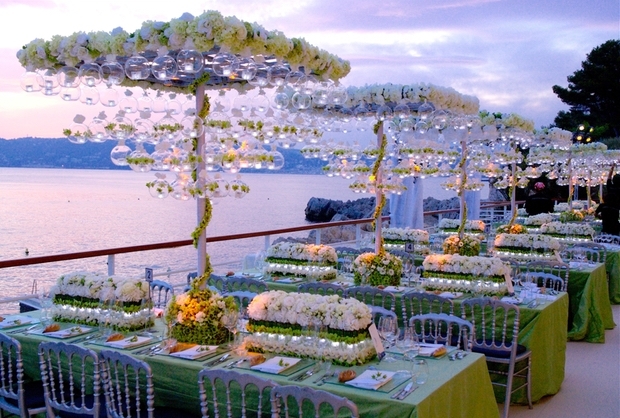 Which destinations and venues would you recommend to couples looking to plan an unforgettable wedding? There's lots of beautiful venues out there to choose from, the most important thing I'd say though would be to stick to something picturesque, it makes a world of a difference. What piece of advice would you give to young couples who are planning their wedding? Weddings are expensive, start saving and don't invite anyone you don't need to. It's your special day and you should spend it with the ones you love, not to just feed people who will leave after dinner. What piece of advice would you give to novice wedding planners having been in the business for years now? Never stop chasing your dreams, it takes a long time to achieve real success but keep persevering and encourage your clients to let you use your creativity.